If you meet Leona Chin outside of a racetrack, you probably wouldn’t have guessed she’s Malaysia’s drift queen, much less a professional race driver who’s been racing for 5 years. Behind the youthful exuberance and bubbly demeanour is a seasoned racer who goes up against the pros, sometimes even on a weekly basis! Don’t let her demure looks fool you, Leona’s quite the gear head, and personally tinkers with her racing machines! Meet Leona Chin, Malaysia’s drift queen. The Otomotif College catches up with Leona Chin at Sepang International Circuit during the Japan Super GT weekend in a candid interview as she talks about entering the sport, the challenges, and herself! Did you always want to be in motorsports? Back in school my friends were nuts for cars. They’d quiz each other about the specs of a car, and eventually I joined in too. Pretty soon, I could name car models and engine types just looking at the picture! All those rounds of playing Gran Turismo 2 back on the PlayStation 2 helped too! How did you get into drifting in the first place? It all started when I brought my 1989 Nissan Silvia (my pride and joy!) to the workshop. The mechanic remarked that the car is pretty good for drifting, and I should give it a spin. So one day I drove to an empty parking lot and he taught me basic drift maneuvers like the donut and figure of eight. Before long, I was practicing them regularly and wearing out a lot of tyres! How did you turn those practices into a professional career? 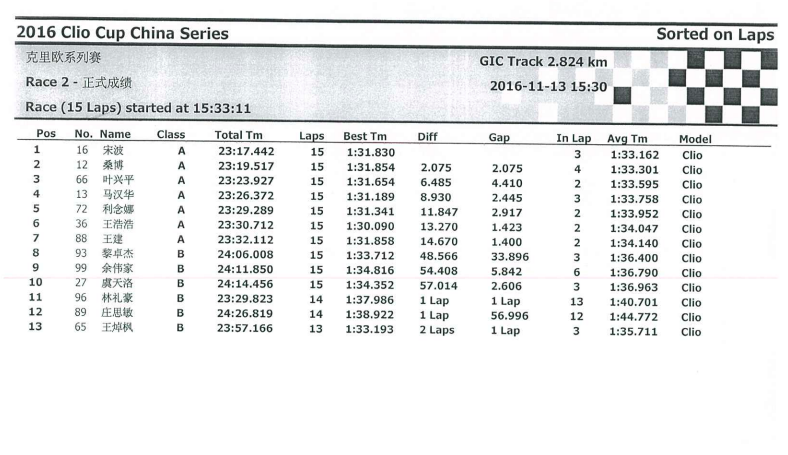 I signed up for a time trial, and didn’t do too bad in my debut (laughs). But eventually I was headhunted by Red Bull to learn track driving. It was a two-year stint, so between that and other gymkhana events, I was building up my experiences in different racing types from circuit, to rallying to time trials and drag races. What’s your favourite kind of motorsport events? Definitely drift racing. It’s fun, relaxing, and you’re doing it at your own pace, so you’re challenging yourself first. What’s the challenge of being a professional race driver? Every event, every car is an unfamiliar challenge. It’s all about getting used to the car handling, track and driving conditions, and often in a short time. Sometimes you have a week, sometimes you have only the day itself to prepare! Motorsports can also get expensive. Tyres and spare parts get worn out quickly, so having sponsors can really take a lot of pressure of your mind and let you concentrate on the drive. And the best part about being in motorsports? Motorsports is very big industry and the best part being in it is the thrill and excitement I get when drifting in drift car. Besides that, I also get more exposure compared to male counterparts because of the comparatively small percentage of females in motorsports. Do tell about the person behind the wheel. What are the things you like outside of the racetrack? What do you do on a day off? On my day off, I would be busy blogging. I also love Domo-kun items (I have a Domo-kun plush in my car! ), and Korean food.! And here’s the question guys have been begging to ask. Are you single and available? So if a guy were to ask you out, what qualities and interests would he possess? The qualities of a guy must be trustworthy, loyal, outgoing, extrovert, smart and family oriented. Of course, he has to be supportive in my motorsports career too! Leona personally attending to her modified BMW 5 Series at the Ultra Racing Gymkhana Trials 2012. You’re driving one mean machine for this event (a custom BMW 5 Series sporting an Infiniti VH45DE V8 engine). What’s the dream machine that’s in your must drive list? Thanks very much! So wha’s next for you in the coming weeks and months? I’ve just gotten back from a drift event at Surabaya, Indonesia, After that, it’s more race events until the Raya holidays. 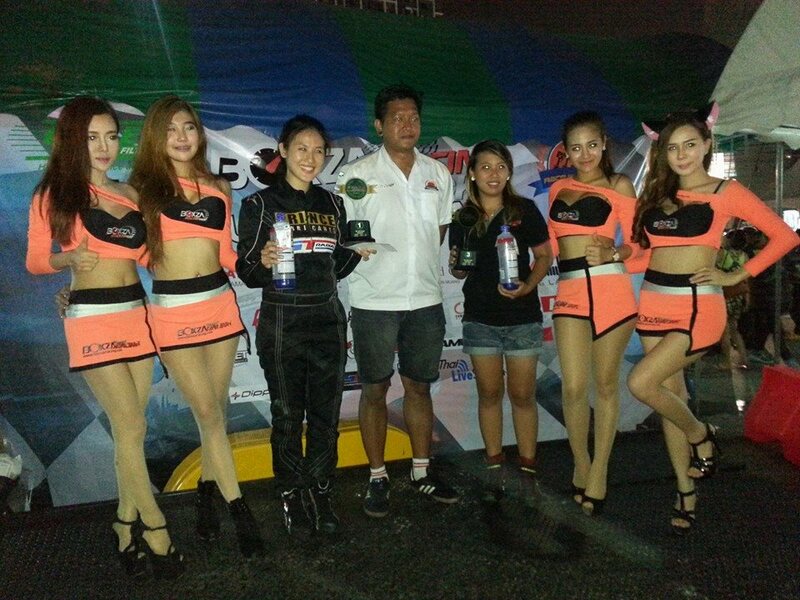 Leona Chin Lyweoi 陈莉慧 ( born July 23, 1986) is a Malaysian professional racing driver. Born in Subang Jaya, Selangor, Malaysia. She is the 4th child of 5 sisters. Leona’s mother is a widower, her father passed away when Leona was 16 years old. Leona started liking cars at the age of 16, attending racing events and car exhibitions, she achieve her Malaysian driving license at the age 18, and started motorsport drifting at the age 20. Leona’s current roles are Professional Racing driver & Motorsport Athlete, with occasional participations on Online and TV Appearances. Leona is also a social media Content Creator, as well as operating her own online shop on mudah.my. Chin also appears in a few movies as a professional stunt driver, along with numerous ambassadorship for brands( view partners ) . Growing up, Leona studied at Catholic High School Malaysia. 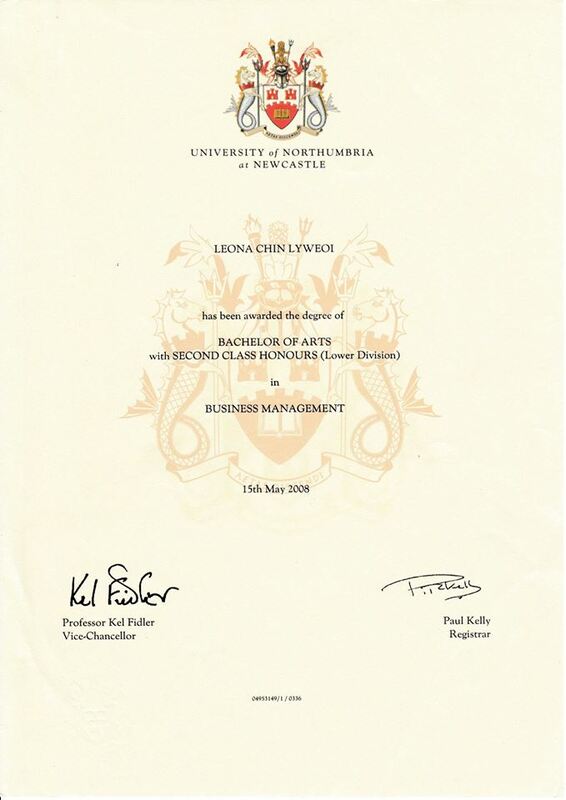 She further her studies at Northumbria University. Leona owned a Nissan 180sx/200sx at the age of 20 with the support of her mother. 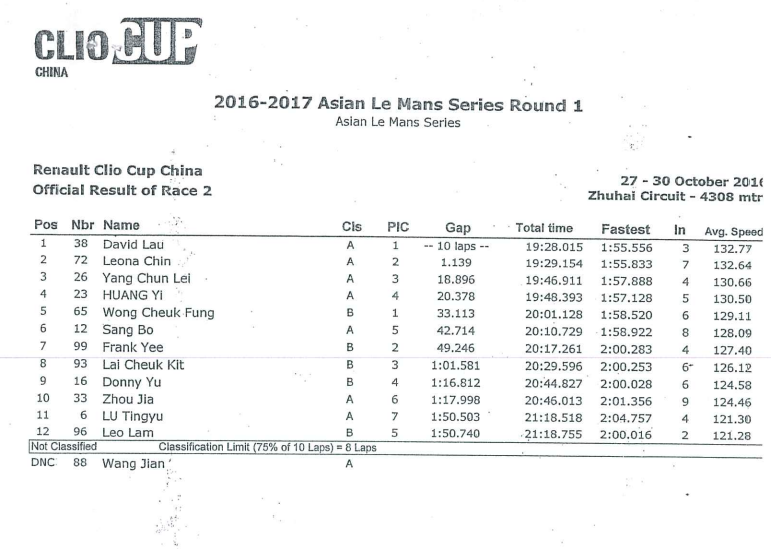 When she was at the workshop, a drift racer Ser Ming Hui approached her. Admittedly, he was surprised to see a girl with such a car but he told her that she should consider drifting given that she already had the potential car for it. It may seem a bit of a funny story, but fate intervened as this stranger felt compelled to change her world. He offered to teach her to drift. In return, he asked Leona to design his website for him. It was an exchange of services. 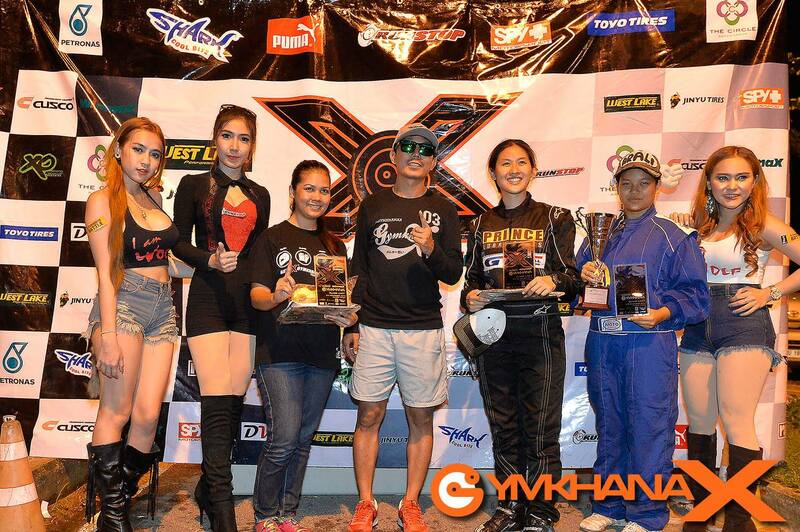 Everything she knew about drifting and racing, she learnt from watching Youtube how to videos and asking experts for advice and participated in various drift events to gain experience. In order to fund her motorsports hobby, Leona sells t-shirts online, and became a primary school tutor on her free time. 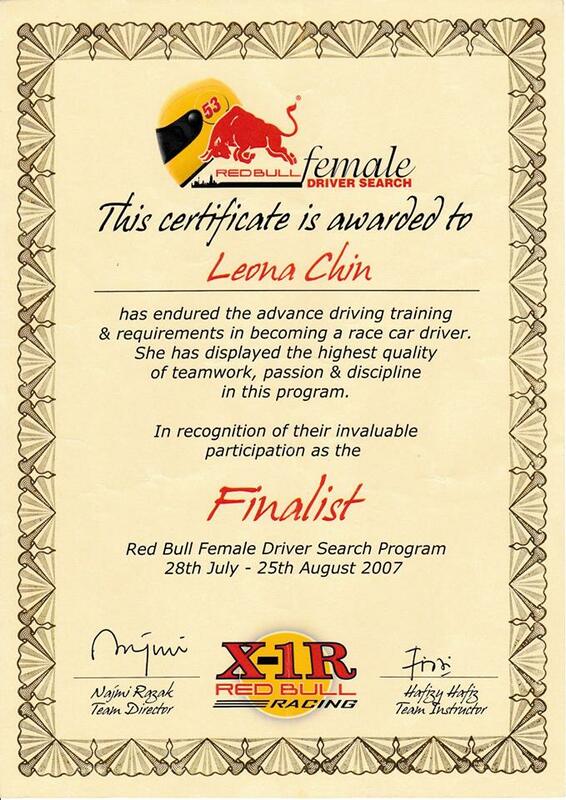 Leona entered a female driver search in 2008 and made it to the final for the Red Bull Female Driver Search. The 4 finalist entered the Merdeka Millennium Endurance Race 12 hour in 2008 with a fully sponsored race car a Honda Integra DC2, race support team, and training courses. 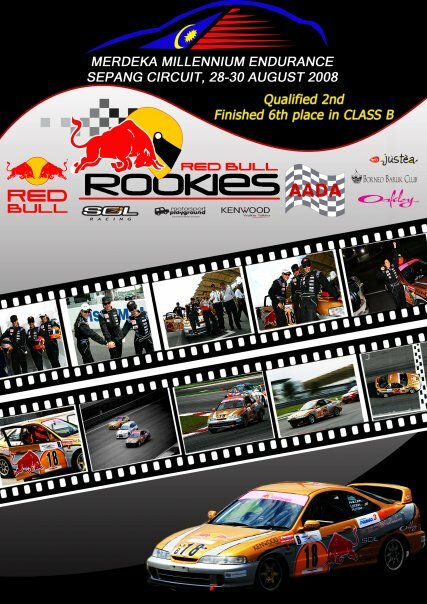 The Red Bull Rookies Team finished 6th in the class. Leona continued the following year and taught the new finalist her driving skills for 2009. Leona completed Red Bull Rookies Team 2010 and began participating in other disciplines of motorsports such as Gymkhana, Rally and Autocross, Circuit racing, Time Attack with her own team to look for sponsors. She began creating her own YouTube channel and became a social media content creator. In 2015, she collaborated with Maxman.TV for a prank video of a nerdy student drifting a Nissan Silvia with driving instructors and made it to international fame. The video collected 40 over million views on Youtube and many more views on other video platforms. Leona and Maxman.TV received an award from WebTVAsia for the Freaking Awesome Video of the year award in 2015. Leona was invited to China to appear in a Reality TV Show for Xuan Feng Che Shou ( F-TEAM) filmed in Zhuhai China with Top China Celebrities like Jimmy Lin, Liu Tao, Yu Quan and Zhou Yong as mentors. Leona performed with a Hyundai Genesis loaned to her by her friend at ShenZhen, China. Her performance amazed the mentors as well as the audience in the studio. Leona made it to the final 8 before getting eliminated due to an ACL leg injury. Although having a leg injury, Leona did not stop driving, she came back to Malaysia and performed a drift show for BMW Auto Bavaria and meeting WRC Champion Jari Matti Latvala for a challenge with Volkswagen Malaysia with crutches and a knee brace. Leona went through ACL physiotherapy and training at the National Sports Complex Bukit Jalil. Leona also competed in Caterham Motorsports Championship full season with a Caterham Super Seven. 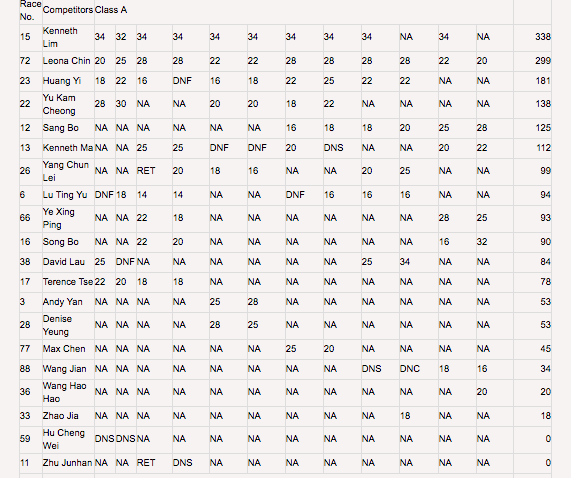 Leona completed the Championship of 12 races winning 2nd overall in the championship series. 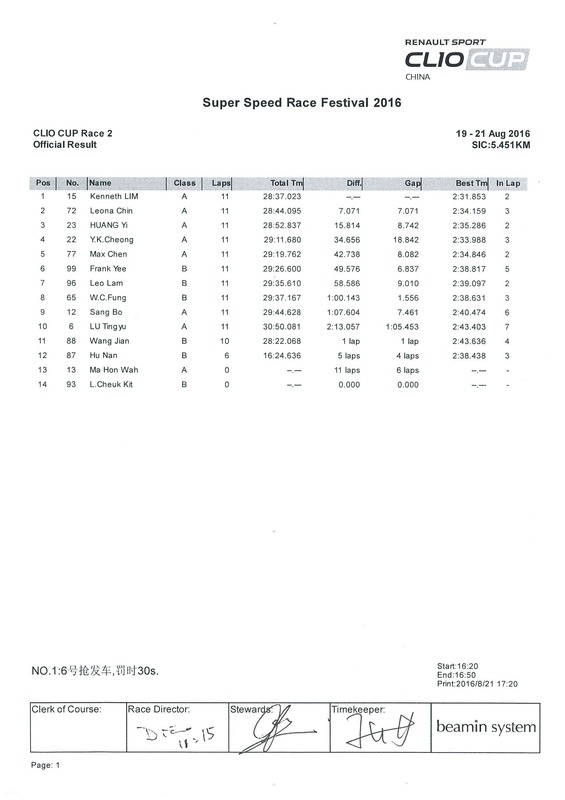 Leona also participated in an 6 hour endurance race at Guangdong, China with a chinese team driving a Subaru BRZ. 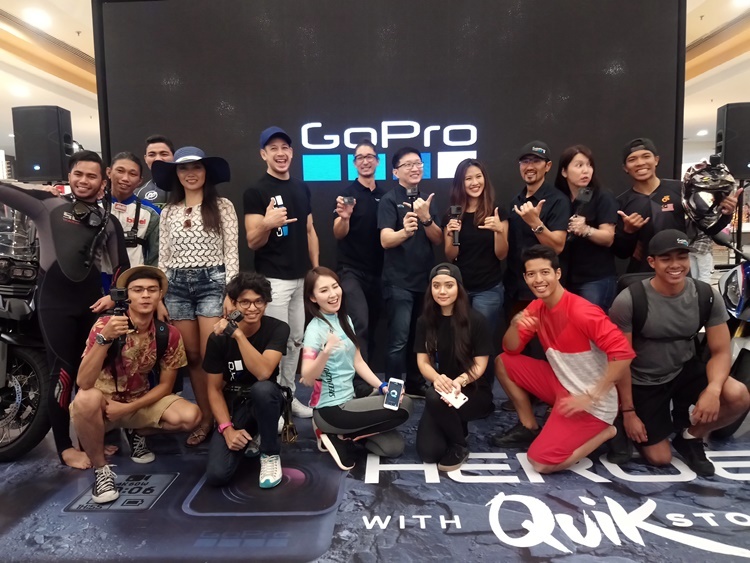 In 2016 year, Leona and Maxman.TV collaborated for a second prank video for Mitsubishi Motors Malaysia’s Triton as a sales girl. Following the video, Leona became the ambassador for Mitsubishi Motors Malaysia. 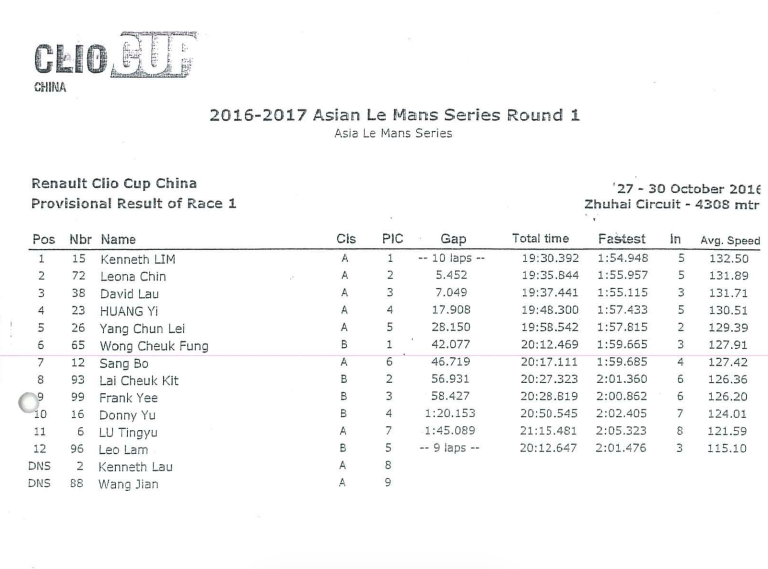 WebTVAsia (artist management company) signed Leona Chin up as a talent and sponsored Leona a full season of Clio Cup China Series in 2016. 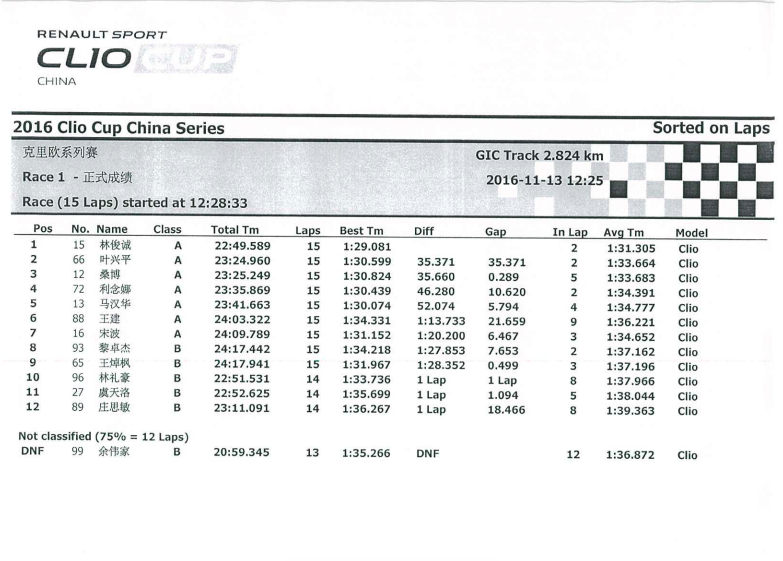 Leona participated in Clio Cup China Series 2016 and raced the full season with numerous podium finishes, achieving overall runner up in the Clio Cup China Series Championship. Leona also became a stunt driver for a leading actress for upcoming Chinese movie called Reborn. 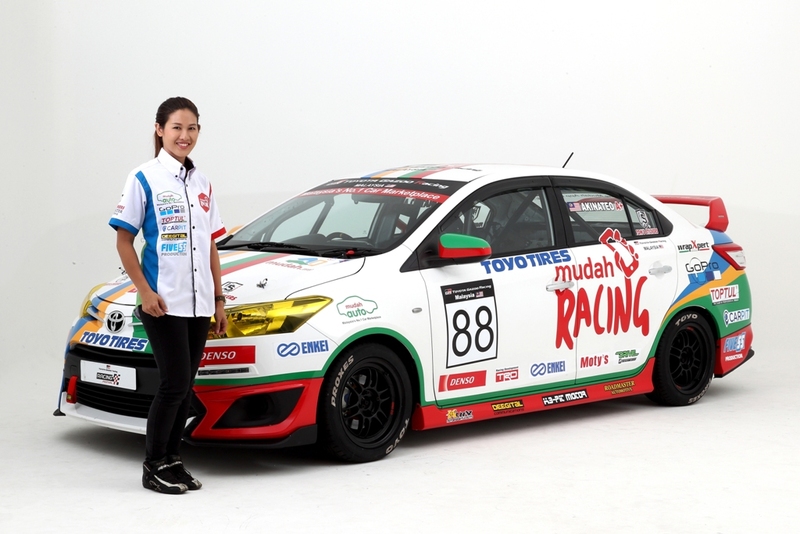 Chin also collaborated with Oreo Nabisco for a Oreo dunk challenge video advertisement drifting her Nissan Silvia S15 In 2017 year, Leona became a team owner and manager for Mudah Racing Team for the TGR Challenge. 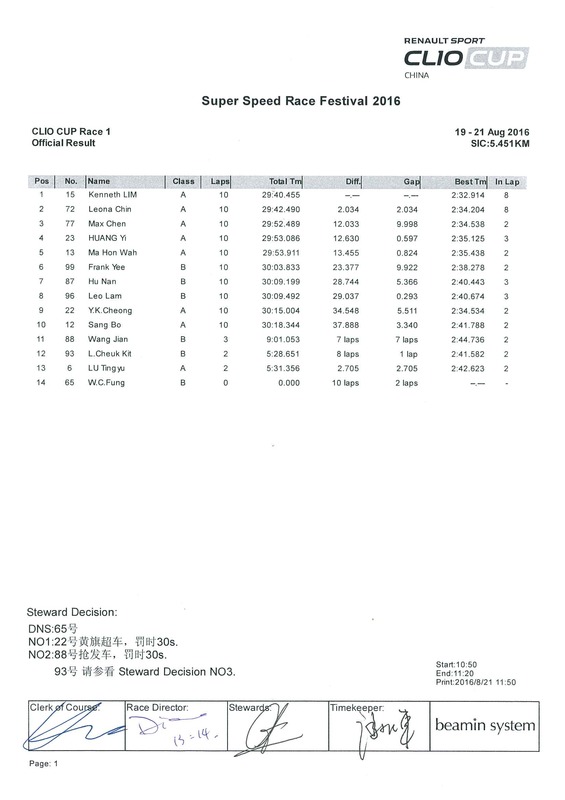 She participated in Sepang 1000km in a Suzuki Swift and finished 8th in class.